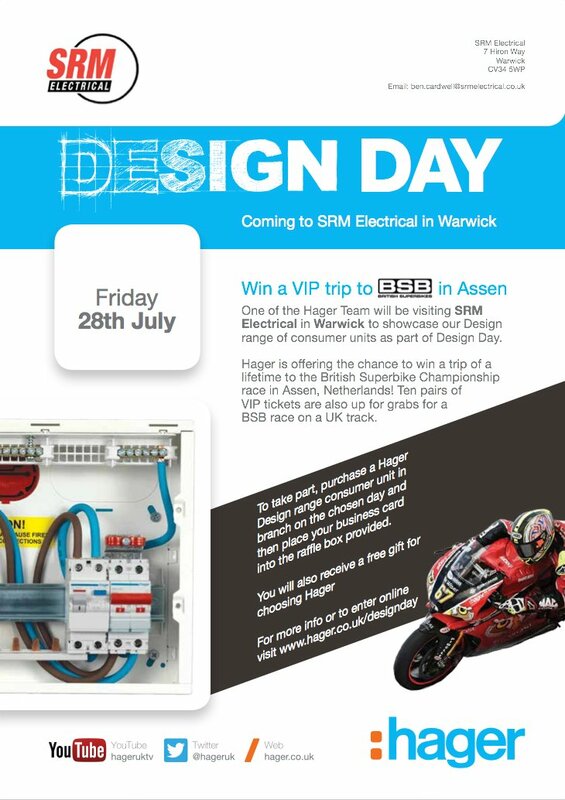 Hager Design Day will be at our Warwick branch on 28th July. This will give you the chance to see and learn more about Hager's design consumer unit range. There is also a chance to win a VIP trip to British Superbike Championship in Assen.